After you decide to have braces, your dentist will discuss with you what you would like to achieve from the orthodontic treatment. You will have an oral assessment, photos, x-rays and moulds taken of your teeth. Then the dentist will outline your treatment plan to discuss all the options available to you. In many cases, permanent teeth need to be taken out to create space in your mouth so that the remaining teeth can be moved. If this is the case, the extractions are carried out by your dentist. 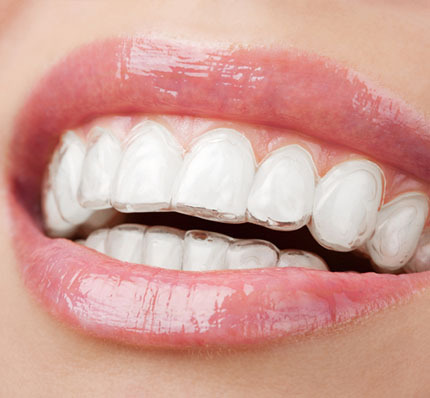 In the beginning small plastic bands ‘Separators’ will be placed in between your molar teeth. The bands will stay in place for one week to create a space between the teeth for the permanent molar bands. At the next one or two appointments the molar bands, brackets and wires will be put in place. You may find that for the first couple of days your teeth may feel tender to bite and your jaw aches; this is because of the pressure of the brace, taking a headache tablet will help. If the discomfort lasts longer than a few days, make an appointment to see your dentist to see if your brace needs adjusting. You may find that your brace may also rub against the inside of your lips or cheeks. If this is the case, use the wax which your dentist will have supplied. You will now need to see your dentist every four to eight weeks to have the bands and wires changed, tightened or indeed elastics added. If you have had your brace tightened, you may feel a little discomfort later in the day which is a normal and a headache tablet will help. You will be able to eat most of the foods you were eating before, but more care will need to be taken not to damage your brace. There are some foods that have to be cut out of your diet whilst you are wearing the appliance. Also think twice before opening bottles with your teeth, biting pen tops or chewing your fingernails as these can also damage your brace. It is very important that your oral hygiene is excellent as cleaning your teeth is much more difficult with a brace in place. Brushing your teeth after every snack and meal throughout the day will reduce the risk of decay and gum disease. In addition, take longer brushing your teeth in the morning and at night. 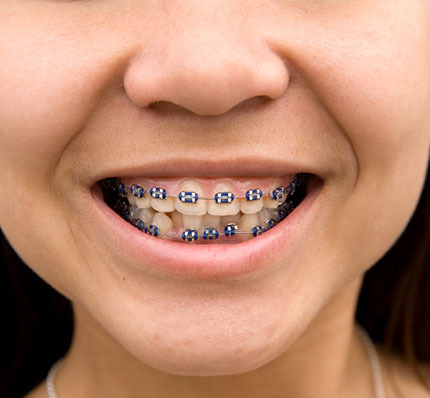 Ask your dentist which is the best type of toothbrush for cleaning braces. If you do not look after your teeth during your treatment they can become permanently stained or damaged.